Measuring angles in degrees for the sum and difference formulas for sine is easier than measuring in radians, because adding and subtracting degrees is much easier than adding and subtracting radians. Adding and subtracting angles in radians requires finding a common denominator. Moreover, evaluating trig functions requires you to work backward from a common denominator to split the angle into two fractions with different denominators. Rewrite the angle, using the special angles from right triangles. One way to rewrite 135 degrees is 90 degrees + 45 degrees. Choose the appropriate sum or difference formula. Plug the information you know into the formula. Therefore, a = 90 degrees and b = 45 degrees. 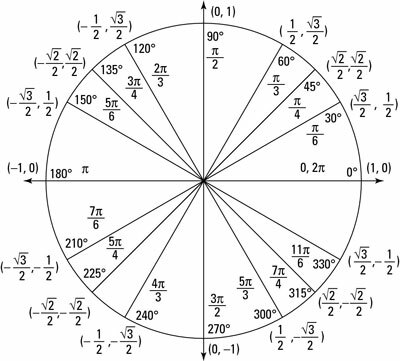 Use the unit circle to look up the sine and cosine values you need. Multiply and simplify to find the final answer.